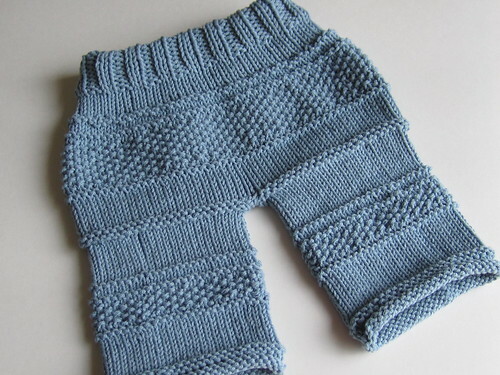 Keeping with my apparent trend of craft-related posts, I have to share these knitted baby pants in grey-blue. 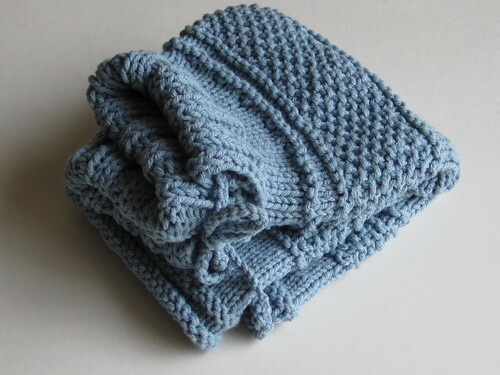 (The official color is Lake, in Lion Brand Cotton Ease yarn.) 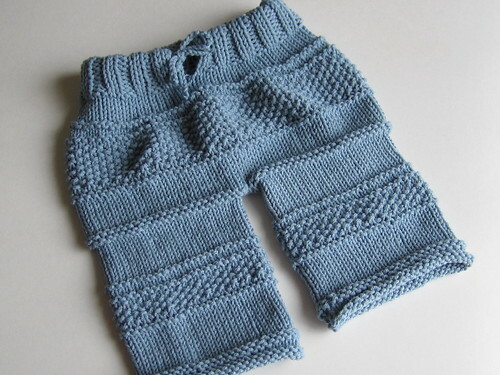 I can't recall how I found the pattern online, but somehow I stumbled upon this ymymmytm post from 2008, and the photo of a little one crawling around in these Kanoko Baby Pants convinced me I had to give them a try. I'm very pleased with the results. I love the changing stitch patterns, the drawstring waist, and most of all, the extra room to accommodate a diaper! This pair is size 3-9 months. 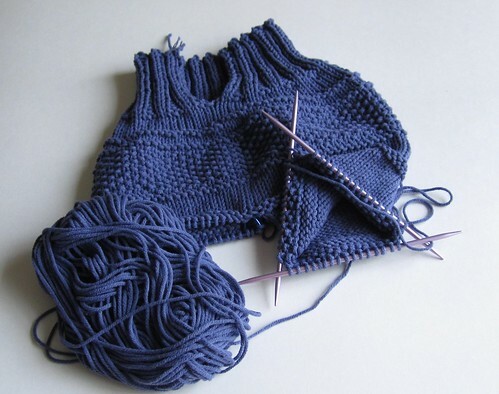 The pattern is knit from the top down, starting with a circular needle and then switching to double points to knit each leg in the round. Another great thing about this pattern is that it uses yarn that I can find at my local craft store. After I put the finishing touches on the grey-blue pants, I just had to start another pair -- this time in violet. Do you have a set of directions for the Kanoko Baby Pants - at least the number of stitches to cast on for 3-9 month old size? First grand baby due in August and I'm wanting to make several pairs per season. Hi Sue. 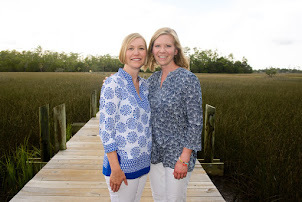 There is a link to the pattern at the beginning of this post.